WarningsDo not use on floors is it could leave them slippery. Avoid exposure to open flames. Keep out of reach of children and pets. To clean and polish your furniture, press wipe lightly, gradually increasing pressure as you go. Start with larger pieces of furniture first, moving towards smaller pieces last. As wipe becomes soiled, refold. Dispose of wipe when finished by throwing used wipe in the trash. Do not flush. Do not use on floors! Opening, Closing and Storage: 1. Locate tear notch and hold pouch firmly at zipper. With other hand, grasp the corner of the tear notch. 2. Pull tear notch down and away from pouch. 3. Open zipper closure and remove wipe. 4. Immediately reseal to prevent remaining wipes from drying out. Zip the pouch all the way closed. 5. To maintain maximum wipe moistness, store pouch on its edge. Do not store flat. Helpful Hints for Use: If surface looks cloudy or smeary, repeat procedure in directions for use. 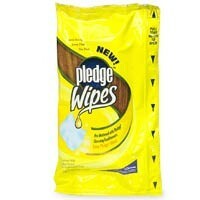 When using on old or unknown furniture finishes, test Pledge Wipes in an inconspicuous area first. Do not put partially soiled wipes back in this pouch with the new wipes. Gerber 2nd Foods Banana Blackberry Blueberry Non GMO. For sitter. It has the goodness of banana, blackberries and blueberries in each tub. Contains no artificial flavors or colors. This product is not made with genetically engineered ingredients. Nabisco Ritz Bits Cheese Cracker Sandwiches.Naturally flavored.Filling made with real cheese.